Oskar Schindler watches, in horror, the liquidation of the Krakow ghetto. Analysis: Schindler’s List crushes all previous Consensus records. It sweeps the six major critics awards (a first) and wins all 10 awards. While its total nominations have been beaten, the two other films which would sweep the critics awards (L.A. Confidential, The Social Network) would lose the Oscar and PGA and still fall short of the 10 wins for Schindler. It still holds the Consensus record for points and it earns 49.19% of all the points, while no other post-1947 film has earned over 40%. Even with the addition of the BFCA and the expansion of the guilds, only one film has managed to earn more total awards points in the years since (The Social Network). Schindler’s List, even without the BFCA is still 9th all-time in total awards nominations and 2nd in wins (behind only Sideways). It is still 5th all-time in total critics points. It kills me to have to pick between Schindler and The Age of Innocence. This is the second year in a row where the top two films have the same score. The Age of Innocence is the best #2 in this category since Annie Hall. The poignant, tragic ending of Glory – my #1 film of 1989 since the day I saw it in the theater. Analysis: This is my favorite year in film history, partially because it was the year when I first became seriously interested in film, but also because it’s such a damn good year. It’s not a coincidence that I own eight of these top 12 films (plus several more farther down the list – Batman, Indiana Jones and the Last Crusade, The Adventures of Baron Munchausen). The Top 5 is tied with several other years for third best to-date. But things stay strong outside the Top 5. This year is tied for the third best to-date for the Top 6, is the second best for the Top 7, and then is the best to-date for the Top 8 on down. The average of the Top 10 is 94.8, which is higher than the Top 5 average for the year before. The Little Mermaid is the best #8 film to-date while Crimes is the best #7 film since 1946. Though, that didn’t translate at the Oscars where they nominated and even gave the Oscar to Driving Miss Daisy (though they made very strong choices with the other four). 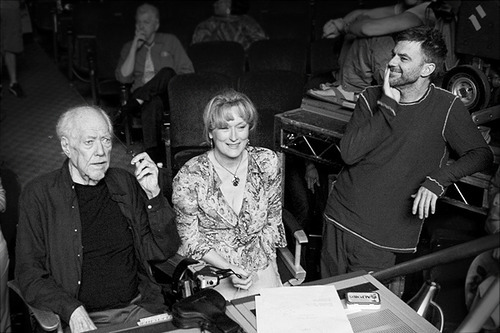 Robert Altman (#33) on the set of Prairie Home Companion with his “standby director”, Paul Thomas Anderson (#28), who agreed to that role for insurance reasons. In between is some actress. This is the penultimate ranked list of those directors who have been nominated for Best Director by the Academy of Motion Pictures Arts and Sciences. This is part 8 of the series, with one part still left to go. As always, you can find the previous seven posts in this series by going here. There is also an introduction here, which explains the scope of the project as well as my scoring system. I have been focusing on finishing this series this year, both so that I go do the bi-annual update of the Top 100 Directors of All-Time and because I want to do it before another Oscar season and some more directors potentially end up needing to be ranked. In a reversal of the last group, these are the more experienced directors. With the exception of four Studio Era workhorses, the 25 directors in the last post had only averaged 7.76 films. This time, we have seven directors (Lucas, Olivier, Coppola, Fosse, Malick, Mendes, Anderson) who have only directed a combined 39 films – an average of 5.57 (I’ve seen all but two of those – the two now out or about to be in theaters). The other 18 directors have averaged 19.83 films – or if you cut out Lynch, Branagh and Leigh, you have 15 directors who have made 325 films (21.67 each), of which I have seen 308. I have also seen 95.2% of these films – only missing more than one film by Renoir (4) and Capra (9). And the only film I’m missing from both Truffaut and Malle are on TCM in the next month. And this just about caps it for the less experienced directors. The only director in the last post with fewer than 10 films to his credit is Tarantino. 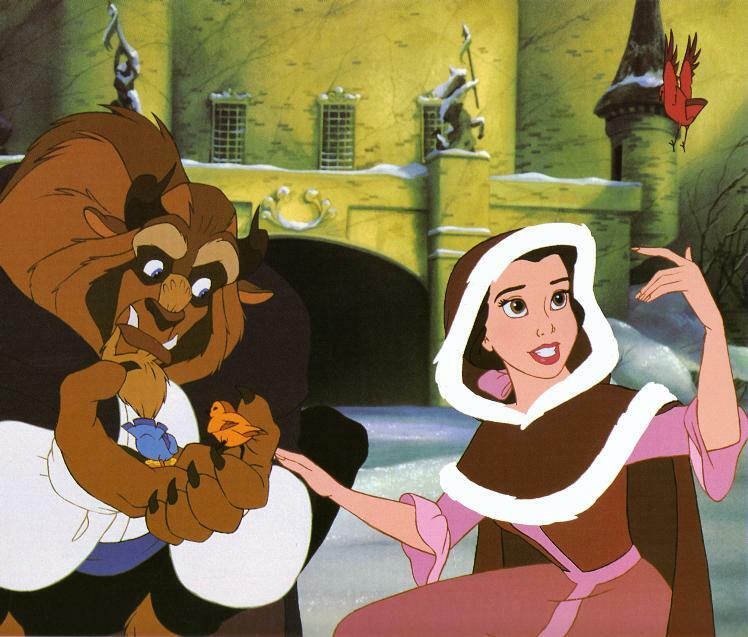 Beauty and the Beast during their best song in the film ("Something There"). The best Animated Film of the 90's.